We’re committed to providing you with top-notch legal support. We approach every client with a focus on integrity, advocacy, and understanding. Nii Amaa Ollennu Law Firm, PLLC has a well-deserved reputation for excellence in providing smart, sensible, and cost-effective legal solutions for our clients. 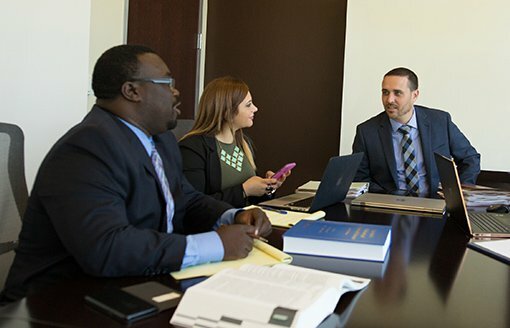 Our attorneys and staff are driven to minimize — or eliminate — any potential legal situations that you may encounter. It’s always important to employ the services of a qualified attorney to help you through the tough legal issues you may be facing. We serve a wide range of clientele, and every client relationship is valued greatly. Each engagement benefits from the depth and breadth of our commitment to you and the law. Learn more about what can provide for you below. This is our unofficial slogan, and it guides everything we do. We are striving to bring customer service to the legal industry one client at a time. What Does “Family Treatment” Really Mean? Be honest and upfront about what you can expect from us. Work closely with you to create and implement a personalized strategy. Provide vigorous and quality legal services, though we cannot legally guarantee any specific results. Maintain affordable solutions and services. Regularly update you on the status of your case so you are not left in the dark. 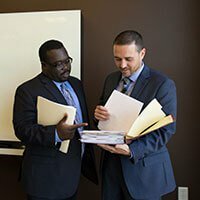 Though there are many attorneys to choose from in McKinney, it’s important to remember that an attorney’s approach matters just as much as their knowledge of the law. At Nii Amaa Ollennu Law Firm, PLLC, we not only keep abreast of current laws and regulations — we have made a commitment to serve our clients with genuine respect and understanding. But don’t take our word for it — see for yourself. Contact our office today to schedule your complimentary consultation.